When the sidewalk in front of your home was poured, it was level, even, and appealing. You, your relatives, and your neighbors could use it without fear of tripping or falling. However, as the years have passed, sections of the sidewalk have begun to sink or crack, leading to uneven surfaces and dangerous tripping hazards. A tree root from your front yard may have pushed one section up, while erosion caused another to sink below the level of the yard. No matter the cause or condition of your sidewalk, B&B Concrete Repair in Chicago can handle the project. When we begin your concrete repair project, we’ll look at each section individually, evaluating the state of each one. There might be sections that are perfectly fine, but it is the adjoining sections that are in need of repair. 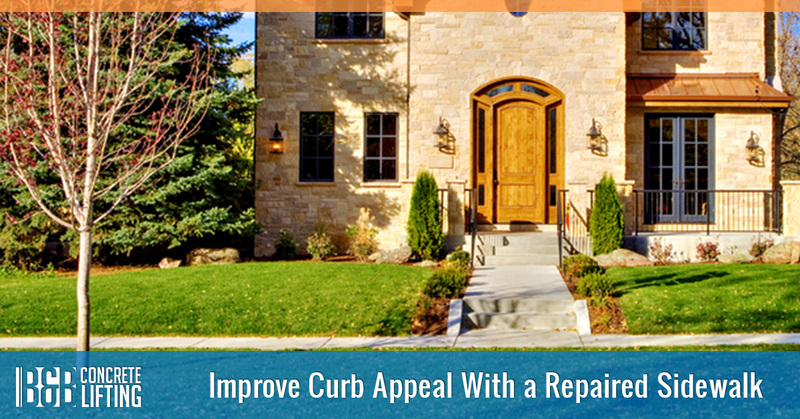 By lifting the concrete or filling the voids caused by erosion underneath, we can make the sidewalk level once again, which can go a long way in improving the curb appeal of your home. Our crew will work quickly and efficiently to repair the concrete, minimizing the time necessary to level your sidewalk. Repairing your sidewalk can eliminate tripping hazards, as well as improve its appeal should you wish to sell it in the near future. If you’re tired of watching your step every time you walk from the curb to your front steps, contact B&B in Chicago today to discuss your concrete repair project. We’d love nothing more than to fix any issues and provide you with excellent service!